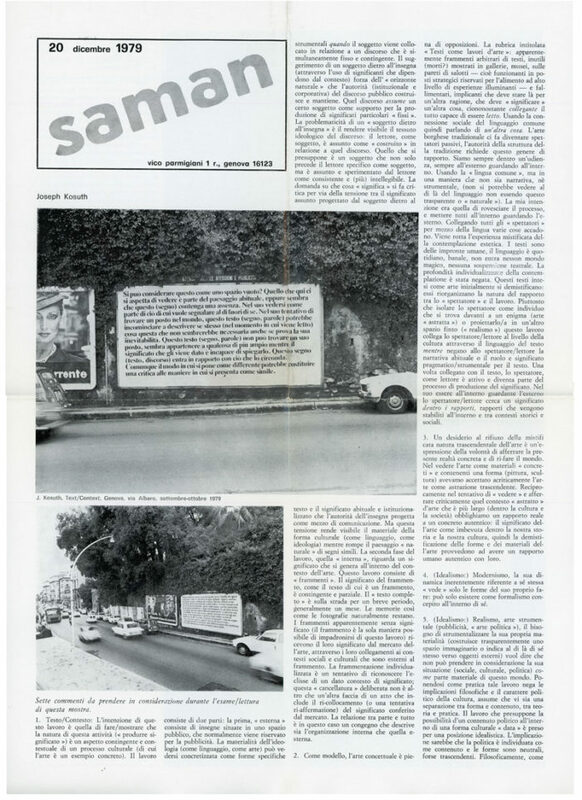 December newsletter for Saman Gallery, Genoa Italy, 1979. 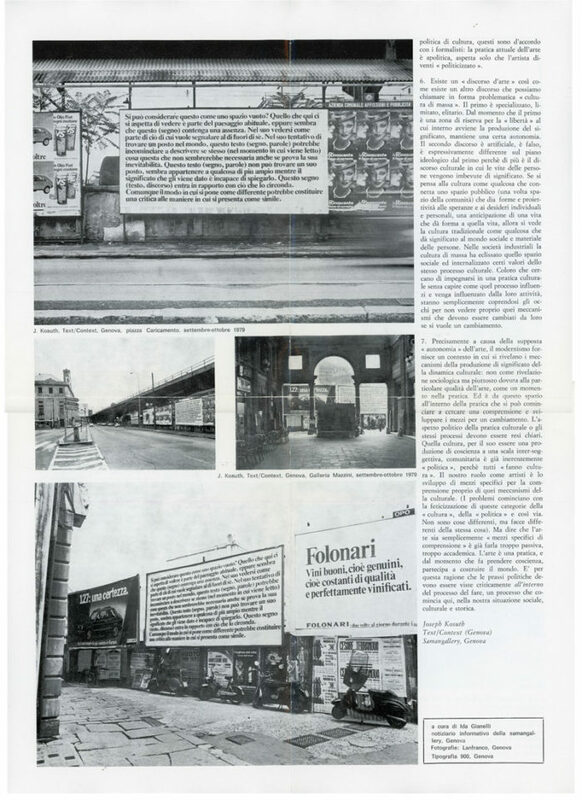 Features an in depth article on Joseph Kosuth’s work, accompanied by several black and white images of the artist’s work. The newsletter is written in Italian.